Just in time for their home opener of the 2012 season, fans of Colorado Rockies baseball can feel safer when severe thunderstorms threaten Coors Field now that the park has earned designation as a National Weather Service StormReady® Supporter. 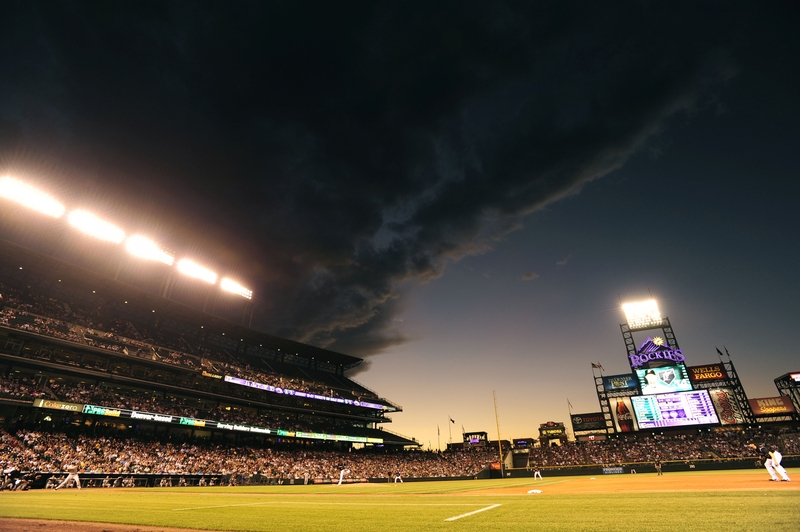 Coors Field is the fourth major league baseball park to earn StormReady distinction. To become StormReady, Rockies officials worked with local emergency management and NOAA’s National Weather Service to adopt a rigorous set of detection and warning criteria to provide protection from severe weather. Warning coordination meteorologist Robert Glancy will present a StormReady plaque and certificates to the Rockies at the April 13 game against the Arizona Diamondbacks. The nationwide community preparedness program uses a grassroots approach to help communities and organizations develop plans to handle local severe weather and flooding threats. The program is voluntary and provides clear-cut advice from a partnership between local National Weather Service forecast offices, state and local emergency managers and individual organizations. StormReady started in 1999 with seven communities in the Tulsa, Okla. area. There are now nearly 1,900 StormReady sites across the country. StormReady baseball fields include the Minnesota Twins' Target Field, the Cincinnati Reds’ Great American Ballpark, and the St. Louis Cardinals' Busch Stadium.